We wanted to go to Vic Sushi bar. Did you know they’re closed on Sundays? We didn’t. Ha. We learned the hard way. So we walked a few blocks to eat at Moshi Moshi instead. I’ve been here a couple times before and had good experiences, so I knew we wouldn’t be disappointed here. t’s a nice and simple friendly place. There’s no attitude, it’s not fancy, they have the low tables where you take off your shoes. The tompiko (?) roll… or something like that. It had soft shell crab, avocado, some other stuff I forget, and was topped with a lemon and masago. Good stuff. Attractive too. 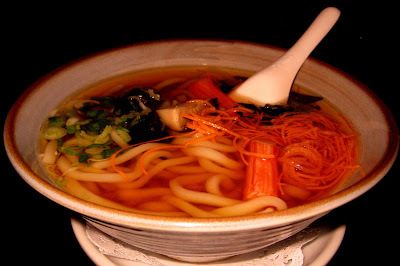 A bowl of udon. The udon here is pretty damn amazing. I do have to say, that this is some of the best udon I’ve had in the Philly area. Trust me. It was hearty and hot. 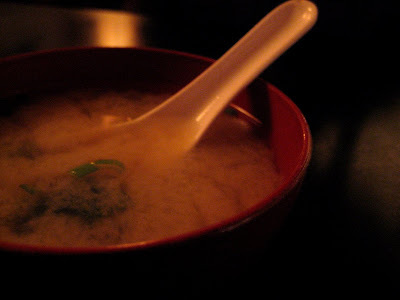 I also wanted a little soup so I got a bowl of miso. Another good bowl of soup, better than most miso’s I’ve had recently. I’m not usually a hand roll person, but for whatever reason I was in the mood for one. 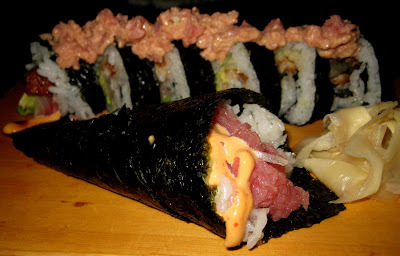 So I got a spicy tuna hand roll and also another roll, whose name escapes me, but it was also topped with spicy tuna. Both were good, but the spicy tuna was a little bit heavy on the mayo side. Still good, but I prefer it with less mayo. The service was good, as usual. They’re quite polite here, almost too polite. 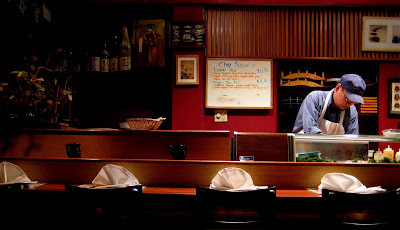 It’s a nice and low-key place to get some sushi. 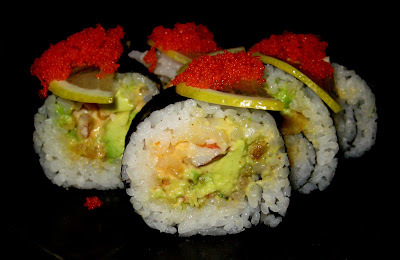 Good sushi at reasonable prices. Not amazing, but a nice option to keep in your back pocket.